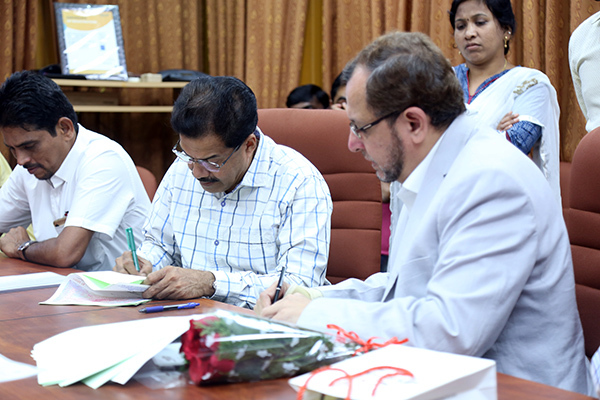 ICAR- Central Institute of Brackishwater Aquaculture (CIBA), Chennai Signed a MOU with M/S. 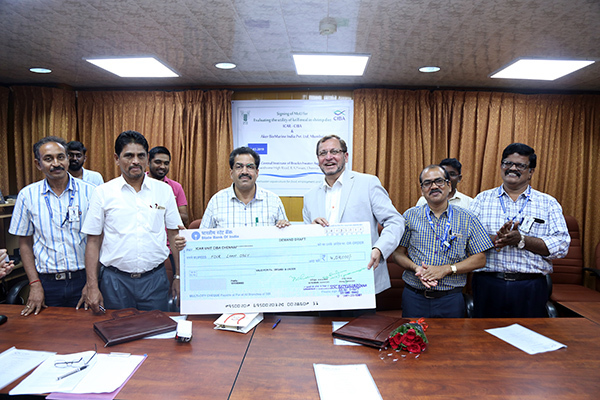 Aker Biomarine private Limited, to harness the nutritional potency of Krill meal in shrimp and fish feeds on 28th March 2019. Aker Biomarine is a Oslo based Norwegian fishing and biotech company providing krill meal and value added products through a fully regulated and sustainable value chain, from the Antarctic region. As the major supplier of krill to the salmon farming industry, the nutritional superiority of the krill meal in salmon feeds has been proven. 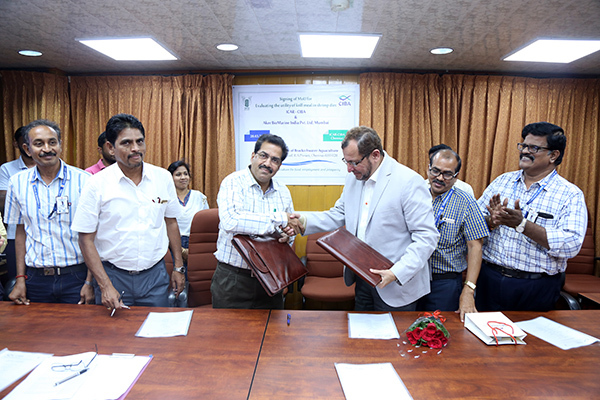 Aker Biomarine India Private Limited, Mumbai is a subsidiary of Norwegian company taking up the operations in India and wanted to promote krill mill as a functional component in shrimp and fish feeds with, which would benefit the Indian feed Industry and aquaculture sector. Dr. K.K. 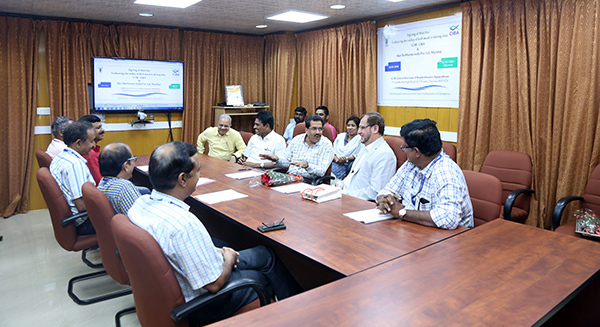 Vijayan, Director, CIBA highlighted the significance of this novel initiative of using a sustainable resource that could help in developing sustainable feed resource, catering to the growing Indian aquafarming sector. He opined the nutrient rich Krill meal can be used in the developments of functional feeds, especially for broodstock and larvae. Mr. Atul Barman, Director, Aker Bio marine India Private Limited, highlighted the uniqueness of the krill meal and his company’s vision on sustainability and planetary health, and emphasized the importance of this new partnership between CIBA and Aker Biomarine Limited, in providing solutions to the Indian aquaculture sector. 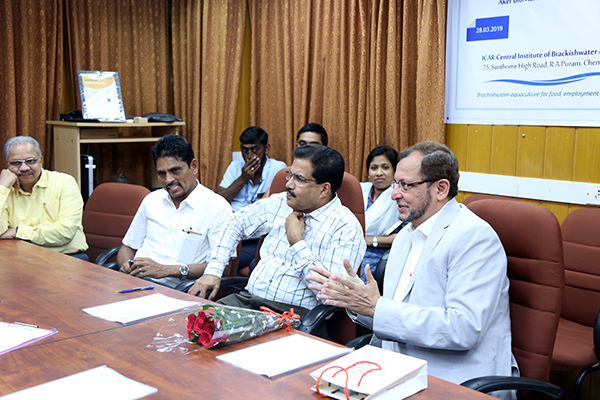 Dr. K. Ambasankar, Principal scientist and Team leader of this program highlighted the nutritional superiority of the krill meal and the necessity to evaluate the utility of krill meal in the Indian scenario, and relevance of this initiative in the development of cost-effective functional . 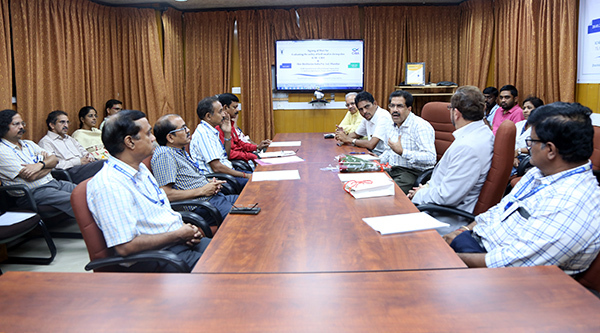 Ealier in the event, Dr. T. Ravisankar, in-charge of ITMU welcomed the gathering wherein heads of various divisions, senior officers and scientist of CIBA along with ITMU officials participated.